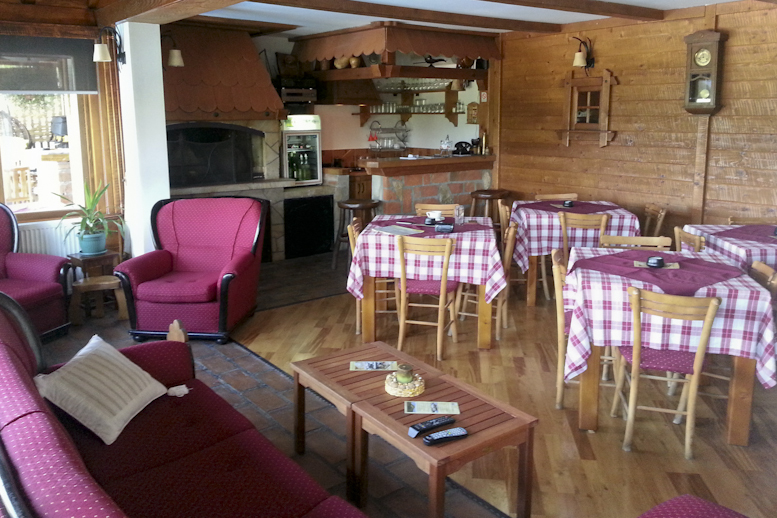 Ivanjički konaci are located 180 km away from Belgrade, and only 5 km away from the city center of Ivanjica. They are equipped with the most modern equipment and furniture. There are twelve lux apartments and one separate house, as a unit with a spacious living room equipped with a fireplace, comfortable bathroom, kitchen, two bedrooms, and a large roofed terrace with magnificent view of Javor and Golija mountain massifs. Peace and quietness will make your holiday in this gorgeous natural environment unforgettable. View of Javor and Golija mountains, coniferous forests, pastures and surreal lookouts. 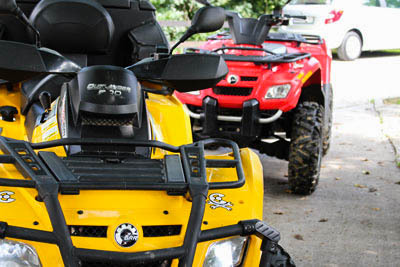 Pool, sport activities, bicycle, motor sledge and quad riding, organized field trips, and other. Combination of traditional and modern elements created for maximum comfort and pleasant stay of guests. Enjoy healthy and tasty traditional food and beverages. Free Wi-Fi Internet connection for all guests staying at our rest houses. You can encounter peace during your deserved vacation in our rest houses. Modern accommodation, beautiful landscapes, clean air, domestic food, inn, pool and deck chairs represent only a part of the things that will relax your body and soul. In case that you prefer active vacation, we will organize mountain walks, field trips, bicycle and motor quads rides, motor sledge (during winter), visits to nearby cultural-artistic landmarks, and many other things for your enjoyment. Ivanjicki konaci can also represent a creative addition to your business. Be different from others and organize expert seminars or gatherings, business meetings, presentations or celebrations at a location which will leave your clients breathless. Rest houses include twelve lux apartments and a separate house with a spacious living room equipped with a fireplace, comfortable bathroom and kitchen, two bedrooms and a large roofed terrace with a beautiful view. Next to the inn, there is a summer house with a surface of 120 m2, enclosed on three sides, which has a possibility to provide organization of various contents to guests: seminars, counseling, presentations and celebrations. At the center of the rest houses, there is an inn with a capacity of up to 40 seats. The inn was constructed in ethnic style with the aim to unite combination of traditional and modern elements. The predominant materials are wood and brick, so the inn possesses special warmth, where guests gladly spend their time in comfortable sets of furniture, which represent a special section of the inn. The inn has air condition, fireplace, wireless Internet and cable tv. Marked walking paths, night walk along lit up path up to the lookout, bicycle and motor sledge ride, various sport activities and a pool. When weather is unfavorable for activities in nature, you can find replacement activity at our media library which offers a large number of books for children, belletristic works and DVD movies for all ages. In cooperation with the studio Drawing Dot, you can become acquainted with works created by artists who represent values of modern Serbian fine art. if you wish to share your impressions about staying at our rest house with us, send us a message via contact page or leave a comment via Facebook comments. 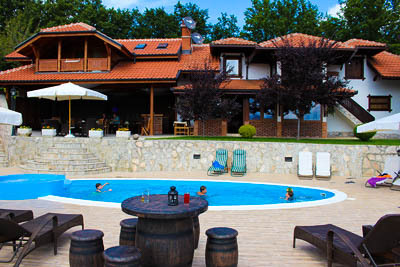 I have visited numerous hotels in country and abroad and I can say that the accommodation and service at Ivanjicki Konaci is at the top level, simply put – it is a great enjoyment to stay at your rest house. We will come back again! We saw the website of your rest house and we loved it! Your rest house belongs to a high class and has European quality! We will be more than glad to advertise you. I love your rest house. Accommodation, food and services are at a high level, and I would say that there is no place like this in the city. New Year’s Eve is out of this world! Best regards!